You enjoy it. It tastes good (I guess). It makes you alert (I hear); but also, oddly, it can calm you as well (from what I’ve read). You also look cool doing it (I confess; this last part is often true). And it’s legal. But perhaps the strongest argument I hear from smokers is this: no one is going to tell me I can’t smoke. This is a free country after all. That’s about it, really. That’s all I’ve got. And I’m not here to nag you. By all means, smoke if you must. But let me present a different perspective: setting aside the many health problems smoking causes, it can also destroy or damage your product liability or personal injury case. In many cases, the fact that you are a smoker may make it more difficult for you to prove your case. I recently investigated a potential case against a medical professional for injury to a patient. I had a medical expert review the case and give me his opinion. He said, “it looks like it could be an injury caused by negligence, but the patient was a heavy smoker, so she likely failed to heal properly after the injury because of all the smoking.” Translation: this person may have been injured through the negligence of the medical professional, but it would be very difficult to separate the actual injury from the failure to heal, and the heavy smoking probably contributed to the client’s failure to heal. So there it was. I may be able to prove that the medical professional injured my client, but even an average defense lawyer could make the case that it was the smoking that caused much of the the pain and suffering and slow recovery after the injury. And that’s the thing: smoking injures people. It also prevents healing. Putting all that together, smoking can make it difficult or impossible to prove injury in a product liability or personal injury case. Even if you prove your case, and you can show injury caused by the negligence and not caused by the smoking, you can lose thousands of dollars in settlement or through a jury verdict simply by being a smoker. 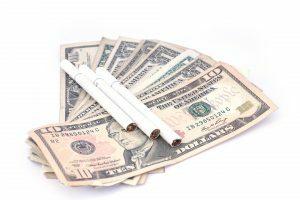 In many product liability master settlement agreements, the fact that you smoked can reduce your total settlement award. By quantifiable I mean you can actually calculate (often to the penny) the money you will lose just by being a smoker. In the Depuy ASR hip settlement agreement, the Part A base award for qualifying plaintiffs was reduced by 5% if the individual used tobacco products at the time of the revision surgery. The base award in the ASR settlement scheme was $250,000.00, which means the smoker lost $12,500.00 right out of the gate, simply by being a smoker. For example, a re-revision surgery typically qualified for $150,000.00 in extra compensation under the Part B portion of the settlement agreement. But if the injured person were a smoker, she would lose 10% of that amount, or $15,000.00. Just like that, the Depuy ASR plaintiff in this example lost $27,500.00 simply because she was a smoker, and that’s presuming she did not qualify for other compensation under the settlement, which would have resulted in further reductions of the total settlement amount. Other settlements reached in other product liability multidistrict litigation also include reductions in pay-outs if the plaintiff smoked. The thinking in all these reductions is simple: smoking causes all kinds of health problems, so it is logical to presume that the injuries relating to the failed product or prescription drug was at least made worse by smoking. It may not seem fair; it may not even be true, but it happens often. From what I hear, it is very difficult to quit smoking. And there are many better reasons to quit smoking than to preserve or strengthen your product liability or personal injury case. 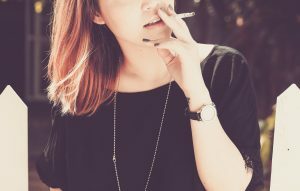 I just want you to be aware that smoking can make it more difficult to prove an injury case, and it can reduce your settlement offer in cases ranging from defective artificial hips to harmful medications to medical malpractice. If you can quit now, for all kinds of great reasons, quit.